Corrosion is the process that results in the deterioration of the performance of a material the result of which is corrosion damage. A physicochemical interaction leading to a significant deterioration of the functional properties of either a material, or the environment with which it has interacted, or both of these. 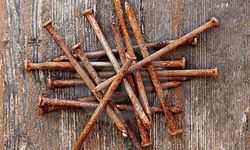 Corrosion damage to materials can be caused by a wide variety of environments. The overall corrosion process necessarily involves at least two simultaneous reactions: an oxidation (or anodic) reaction and a reduction (or cathodic reaction), which are coupled through the exchange of electrons and are therefore known as electrochemical reactions. Passivity is caused by the solid-state electrochemical oxidation of a metallic substrate, under the correct conditions of potential and pH, to a solid species that is largely stable to dissolution. The four main methods for controlling the corrosion of a material or component are: (a) materials selection, (b) environmental modification, (c) electrochemical control and (d) application of a protective coating.